The fact that a restaurant produces so much waste means that obviously, you will need to work hand in hand with a waste management firm. It will be impractical for you to dispose of the waste on your own. The company that you can choose could help in protecting the environment. 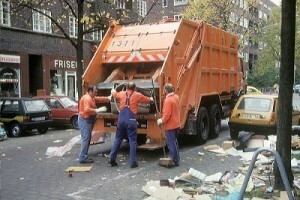 All you have to do is find a rubbish removal firm that has an eco-friendly culture. Asking a few questions regarding how they usually handle the rubbish will give you a good idea about whether to work with them or not. This should not cost you a premium. If you run a busy restaurant, you will need a lot of input in the form of foods and equipment on a regular basis. The packaging this comes in can end up damaging the environment depending on what it is. You could consult your suppliers and ask them to package the items in biodegradable or at least reusable packaging. This minimizes the use of unnecessary plastic and other packaging materials that may be bad for the environment. Consider separating the rubbish depending on whether it’s biodegradable or not before the rubbish is picked up by the removal firm. How you do this depends on how thorough you want to be. For instance, you could have a number of rubbish bins for food matter, glass, metal rubbish such as cans and plastics. These should be clearly marked, so that your staff can use them appropriately. You could even get bins in sizes that correspond to the amount of rubbish produced. For instance, if you usually have very little glass rubbish and a lot of unfinished food, your glass bin could be smaller compared to the food one. If you intend to do this, you could consult your rubbish removal company for help on setting up the system. Minimizing rubbish production will reduce the cost of waste management as well as be good for the environment. Several strategies can be employed here. For instance, you could have variable serving sizes. There are some people who might not want to eat as much as you are serving, in which case the rest would be disposed of. Give your customers the choice to choose serving sizes so that you don’t have to throw food away. You could also make it a policy to ask customers if they would agree to have their food packed if a lot of it is left over, so that they can go home with it. This has to be done carefully so as not to ruin the food, thereby increasing the chances of this system working particularly for patrons who visit frequently. All in all, thinking about eco-friendly rubbish management for a restaurant is important, and has numerous long term benefits. As a restaurateur, it would be in your best interest to at least try and make sure that this happens. From the above, choosing a rubbish removal company that uses eco-friendly disposal methods is by far the best way to do it. Take your time in finding one, and you won’t be disappointed! Talk to Kanne (Swann) on 0414 434 257.